DBS by Ginger has been decorating homes in Central Florida since 1994. 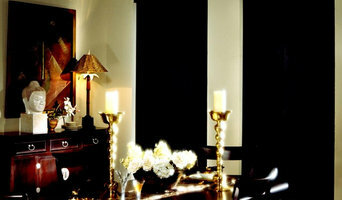 We specialize in Draperies, Blinds & Shutters. We take pride in helping you make your home a place that reflects how you live, taking into thought your family, pets, privacy and energy efficiency. Not only do our designers have over 40 years combined experience but so does our installation team. We take pride in making sure everything is completed just they way we would like in our own home or business. We Bring the Showroom to you! Statewide Blinds has a single mission; offer quality products and services at reasonable prices with integrity. We strongly believe in giving our customers the most value for their money and strive for complete customer satisfaction. Replace old blinds for a new look or style: we install only American made products from local suppliers. We offer blinds, shades, shutters and drapes to match any décor or preference. Most treatments can be motorized and many come with black out options for light control We are consistently focused on the needs of our customers, providing personalized attention and a stress-free experience. Exceptions of Leesburg, Inc. is owner-operated, continuing a family tradition of quality products and personal service. 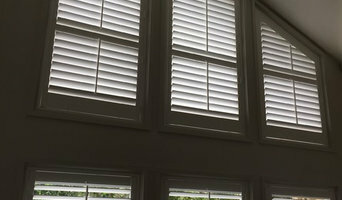 We sell and install new blinds and plantation shutters, as well as offering repair and installation for most brands of window coverings. Founded as The Designers Workroom of Plymouth, Michigan, the family and their business relocated to Florida in 1989. Incorporated as Exceptions in 1994, the firm has been operating in the greater Lake County area since 2006. Michael says, "My expertise has come from working in the interior design business for more than twenty-five years. I learned from the bottom up, and I think that hands-on experience is part of what makes our company different." Another unique aspect of the business is the focus on family. "Our first workroom was attached to my parents' house; I grew up with this so it was only natural to work in this field." Michael and his wife are now raising a daughter of their own. 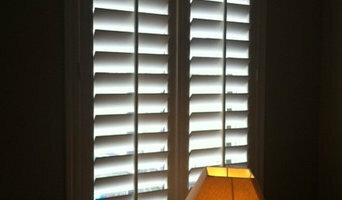 Michael says, "Since 1999 my personal focus has been on window décor - blinds, shutters and shades. With so many new and innovative products available this has really become a specialty." Asked about future plans for the business Michael had this to say: "We have chosen to keep our company at a size that allows us to be personally involved in every job. I am able to give great service and also keep costs down because I take tremendous care at every step - from designing, to measuring, to ordering, to installation. You can't get this from a salesperson or a subcontractor; you only get it when the person performing your work truly cares about your satisfaction." Welcome to Mar-Go Interiors, your premier provider of the largest and most diverse selection of interior decorating solutions. We opened the doors to Mar-Go Interiors in 1996 with a purpose to fulfill all of our customers’ interior decorating dreams. And now, we have established an admirable reputation being one of the most called upon interior design centers serving Wesley Chapel and the surrounding Tampa areas. There’s nothing more exciting than updating the interior of your home with some fresh and creative new ideas. Although a fun and exciting endeavor, interior decorating can be quite the complex task to take on alone which is why our professionals are always available to help and offer their expertise. Owner and lead design Consultant Judy Dechant, has over 15 years of experience decorating homes and designing custom window treatments. She and her professional team of friendly design consultants will work closely with you to coordinate a design project of any capacity while implementing the most suitable interior decorating solutions. Our philosophy is that no job is complete until our client is 100% satisfied. Let us fulfill your interior decorating dreams! We provide a wide range of interior decorating services including custom blinds and window treatments, furnishings, decorations, bedding and upholstery and wall coverings. We can also provide you with the expertise of general contracting, flooring, cabinetry, counter top and lighting professionals. It is in our best interest to make your interior decorating experience as smooth and enjoyable as possible from start to finish. We are a family owned and operated business that sells and installs all types of window treatments. Custom Fabric Creations is a Full-Service Window Treatment provider specializing in draperies, cornices, valances, custom bedding, blinds, shutters and much more. We have served Florida for over 20 years. With experienced design professionals, we put the emphasis on unique designs. Our on-site custom workroom produces the finest quality products, while our showroom boast over 1,000 fabric books and many unique trims and ideas for our clients to see and choose from. In-home consultations available. 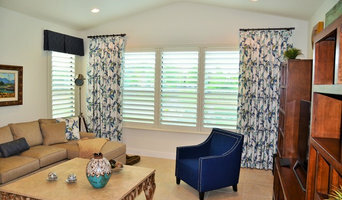 Sunburst Shutters & Window Fashions has been serving local customers for many years. We have a reputation for taking care of customers, offering top quality products, and being very good at customer service. Our team of professionals can help you select the perfect window treatments to match specific colors and designs, save energy, block light and noise, increase privacy and more. Beginning as a home business and growing to our present location, we have been serving the villages area for 15 years. Our store proudly manufacturers name brand window treatments as well as custom designed and custom made soft window treatments. Our sales staff and our in-house installers are factory trained and keep up to date with new industry trends. Choosing the right window treatments can be a complex process with many factors to consider. A complimentary consultation with hone of our professional designers can help remove confusion from the process and help avoid costly errors. We promise to treat our customers with the highest possible respect. Communication with us will be open and prompt. Products and services purchased will be provided according to factory specifications and accepted industry standards. We pledge to employ the highest standard in business ethics of integrity, honesty and fairness while dealing with our customers, employees and suppliers. Your Source for Quality Window Treatments! 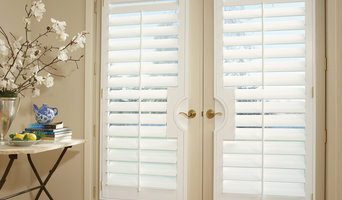 At Shutters, Blinds & Designs, we offer complete consulting, design, and installation of your window treatment needs. Free measuring - Free Consultation and Estimate - Free installation We come right to your home and measure the openings you would like to have covered. One of our experienced designer/estimators will consult with you on your preferences for the treatments. They will discuss design options, functionality, time frame, budget and give you a written estimate. We provide prompt, professional installation and "Service after the sale".